Even the most attentive parents can make a fatal mistake. For Kristie Reeves, May 25, 2011 was just like any other day in her house, aside from the baby oversleeping. 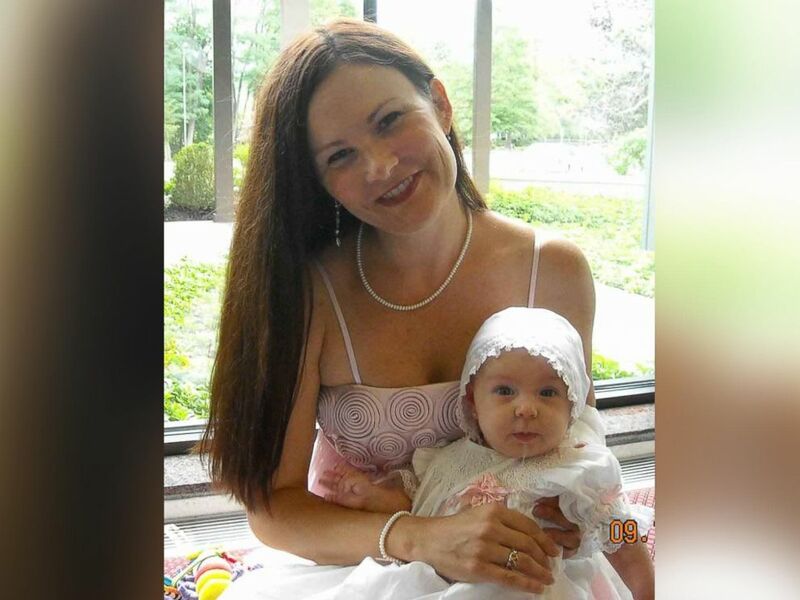 Her husband, Brett Cavaliero, would bring his 1-year-old daughter, Sophia Rayne “Ray Ray” Cavaliero to day care while his wife, Reeves, prepared for a conference call at home. But the day would end in tragedy -- one that constantly replays in Reeves' mind as she remembers the accident that took her child's life shortly after her first birthday. "I tell people she was my soulmate," Reeves, of Austin, Texas said of her daughter. "I know this sounds so cliché, but she really was the perfect child. I remember asking the pediatricians, 'Is it supposed to be this easy?' She was very well-tempered, very balanced. "My husband never knew he wanted to have kids," she continued. "He was really nervous about being a dad, but after we had Ray, he said, 'When can we have another one?'" After a 9:43 a.m. wake-up, Reeves said she got Ray Ray fed and ready for day care. "I walked out to the truck like I would normally do, put her in her car seat and gave her a kiss," Reeves recalled. "I told them I loved them. I gave her a kiss and gave [my husband] a kiss too. He drove down the driveway and I assumed it would be a normal day. It started chaotic, but otherwise normal." Reeves sent them off and walked back into the house where she began packing for an upcoming business trip. She would later drive to pick up her husband Brett from his office for a lunch date -- something the pair did whenever Reeves traveled for business, she said. At 1:15 p.m., Reeves met with her husband. "We were talking about how pretty [Ray Ray] looked that day and how her teacher would be so excited to see her," Reeves said. "She just moved to the 1-year-old caterpillar class. It was tropical day, the class theme. She was wearing the dress her teacher gave her for her birthday." On May 25, 2011, 1-year-old Sophia Rayne "Ray Ray" Cavaliero died after being left in a hot car in Austin, Texas. Amidst the couple's conversation, Reeves pulled into a restaurant parking lot. She said she had noticed how quiet her husband became when they began talking about their daughter. "I didn't even get the car turned off and he said, 'Just go back to the office. Please go back to the office immediately.'" Reeves recalled. "I thought he had forgotten something and I said, 'OK, whatever.' I turned the car around got to the red light and he said, 'Run the light.'" "I asked him, 'What's going on?' 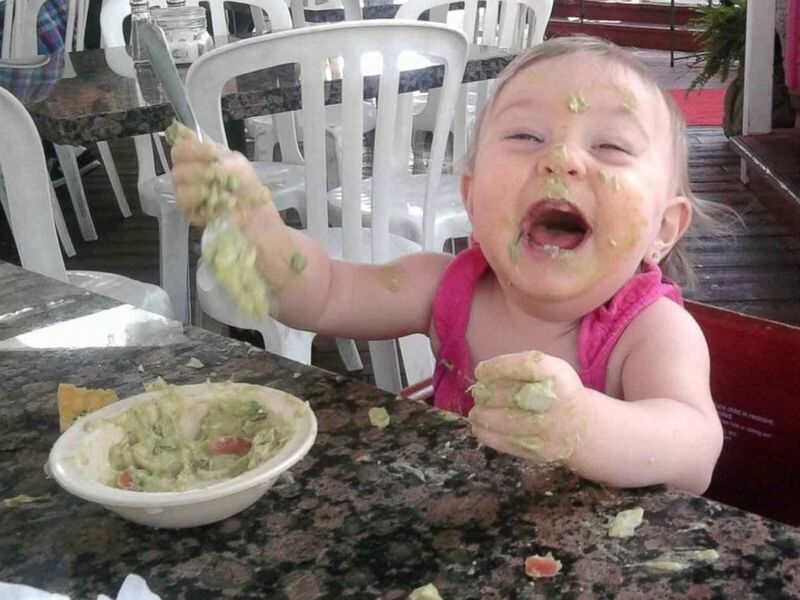 and then he told me: 'I can't remember dropping Ray Ray at day care this morning.'" Panicking, Reeves said she "floored" the gas in her car -- running lights, driving on the sidewalk and even the wrong way on the exit ramp in order to get back to Cavaliero's office. On the way, the couple called Ray Ray's day care center who confirmed the child wasn't in class. 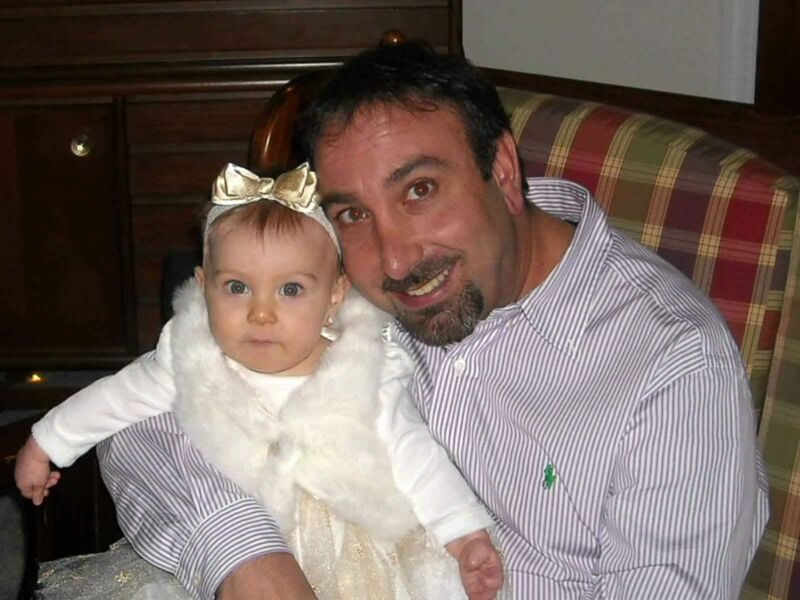 Brett Cavaliero, the father, shown here with baby Sophia Rayne "Ray Ray" Cavaliero, was not charged after accidentally forgetting his daughter in the car on May 25, 2011. Reeves said her husband called his office manager, who was asked to check his truck. Reeves dialed 9-1-1 and beat the first responders to the devastating scene. Ray Ray, who had been forgotten in the backseat, had been removed from the truck and was unresponsive. The temperature had been 94 degrees that day. Ray Ray was left in the truck from 10:30 a.m. until around 1:27 p.m. according to phone records, Reeves said. "I just remember screaming to the [9-1-1] lady that her lips were purple," Reeves said. "You can hear me on the 9-1-1 call saying, 'Hurry! She's just a baby.' I've listened to the 9-1-1 call and you can hear me make this unearthly shriek that came from my body. It was the sound of horror when seeing her for the first time." Reeves said she attempted CPR on Ray Ray until ambulance arrived 13 minutes later. A team worked on her for 40 minutes before transporting her to a local children's hospital. Doctors unsuccessfully attempted to open an airway three times. On the fourth time, Ray Ray was intubated, but it was too late, Reeves said. One hour and 19 minutes after the first 9-1-1 call, Ray Ray was declared dead from heatstroke. 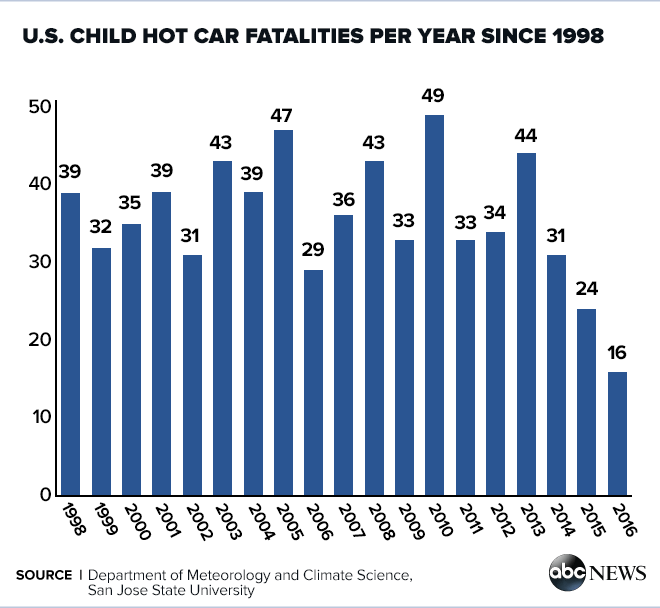 She was one of the 33 children that would die that year from a hot car fatality, according to the Department of Meteorology and Climate Science at San Jose State University. "When they announced the time of death I felt like my soul left my body," Reeves said, crying. "I felt like I was looking down from the ceiling of the room at everything that was going on. It was like watching a really bad movie, but then, it wasn't a movie -- it was now my life." While Ray Ray was in the hospital, Brett Cavaliero had been detained inside his office by Austin police for questioning. "He never got a chance to say goodbye to her before they turned her off," Reeves said. "He arrived at the hospital around 3:30, 4:00 p.m. He actually fell apart and kind of lost his mind. They had to give him medication there and sedate him." Kristie Reeves-Cavaliero, shown holding her baby, Sophia Rayne "Ray Ray" Cavaliero, has been raising awareness to help prevent the number of hot car-related deaths in children. Reeves was questioned in the hospital by both police and Child Protective Services, she said. Ultimately, Austin Police Department's Homicide Division and the Travis County District Attorney investigated the case. On August 17, the case was presented to the grand jury. The district attorney and homicide detective recommended not to charge Cavaliero based on the evidence of the investigation. Despite Cavaliero being the one to have forgotten Ray Ray in the vehicle, ultimately leading to her death, Reeves said she doesn't hold any ill feelings towards her husband. "I immediately realized it was an accident, one that I could have just as easily made," Reeves said. "In the years since, yes I feel a little resentment, not because of the accident, but because the collateral damage that the PTSD causes is very frustrating, heartbreaking, debilitating at times. It wrecked our entire world, inclusive of our jobs, finances, relationships with family and loss of friendships. I also have PTSD, and my triggers peak during the month of May every year because of mothers day, her birthday, and then her angel day, along with the beginning of peak heatstroke season. Yes, I harbor resentment, albeit only for the lifetime sentence of PTSD that I must endure personally, and witness in my spouse." "We would've never, ever in a million years imagined this, never," she added. "We had never heard of people forgetting a baby in the backseat. I have heard of parents that left their kids to go run an errand, but I never heard of this being a possibility before it happened to us. Nobody told us this in the parenting classes. We took every single parenting class they offered because we were scared to death. They taught us how to hold a baby, feed a baby, sleep safety, swaddling, but never once did anyone tell us about 'Forgotten Baby Syndrome.'" The question seems incomprehensible. How could a parent forget that their own child was ever inside their car? David Diamond, professor of psychology, molecular pharmacology and physiology at the University of South Florida, told ABC News that scientific studies of the brain prove that Forgotten Baby Syndrome does in fact exist. "It's where the parent completely loses awareness that the child is in the car," Diamond said. "It's our brain habit system. It allows you to do things without thinking about it. That plan we have to stop a habit seems to get suppressed. We lose awareness of our plan to interrupt that habit. These different brain systems actually compete against each other." Diamond has been studying Forgotten Baby Syndrome since 2004. He's served as an expert witness when parents face charges of manslaughter, murder, or child endangerment in child vehicular heatstroke deaths. Based on Diamond's research, he's developed a hypothesis as to how hot car tragedies happen. Diamond explained that when there's competition between the brain’s "habit memory system" and its "prospective memory system" and the habit memory system takes over, then Forgotten Baby Syndrome can occur. Forgotten Baby Syndrome is defined as the failure to remember that a child is in one's car. When parents like Brett Cavaliero drive to work and forget to drop off their children at day care, it’s typically because that’s not part of the their everyday routine, Diamond said. So parents must exercise their prospective memory system to plan and execute the day care drop-off. Under circumstances of sleep deprivation or stress, Diamond said that parents can default to repetitive actions. For example, a routine drive from home to work, instead of home to day care, is performed automatically, he explained. "You sort of go in auto pilot mode," Diamond said. "It interferes with our prospective memory system and it makes us more likely do something out of habit. There's a common factor in most of these cases -- when you have a have a loss of sleep and stress, we know that it specifically targets the prospective memory system. It's like forgetting a cup of coffee on the roof. You have every intention of bringing it in, but you don't. It's not that I'm trivializing the life of a child. I'm just making an observation that there are good, attentive, loving parents who lose awareness that their child is in the car. As a scientist, I'm trying to understand how this happens." In 2011, Diamond testified on behalf of defendant Kaleb Laatsch of Wyoming -- a father who faced charges for forgetting his son Gideon in the car on August 16 of that year. Gideon suffered severe brain damage, but survived. "He was the only child I know that survived," Diamond said. "There was a turn he [the father] was supposed to take. The daycare was on the way to his work. During the drive, his brain somehow switched to: 'This would be a day that I won't be taking my child to daycare.'" Gideon Laatsch survived a hot car-related accident on August 16, 2011 when he was 9 months old. Laatsch was convicted by a jury of misdemeanor child endangerment but the judge did not give him any jail time, citing he had already "suffered sufficiently," according to Diamond and court documents obtained by ABC News. "These are very wonderful people," Diamond said. "You didn't see any signs of abuse or neglect. I got to know them. He was devastated. His wife was very supportive and I recall this because she knew what a wonderful father he was. She knew he would never do this intentionally." 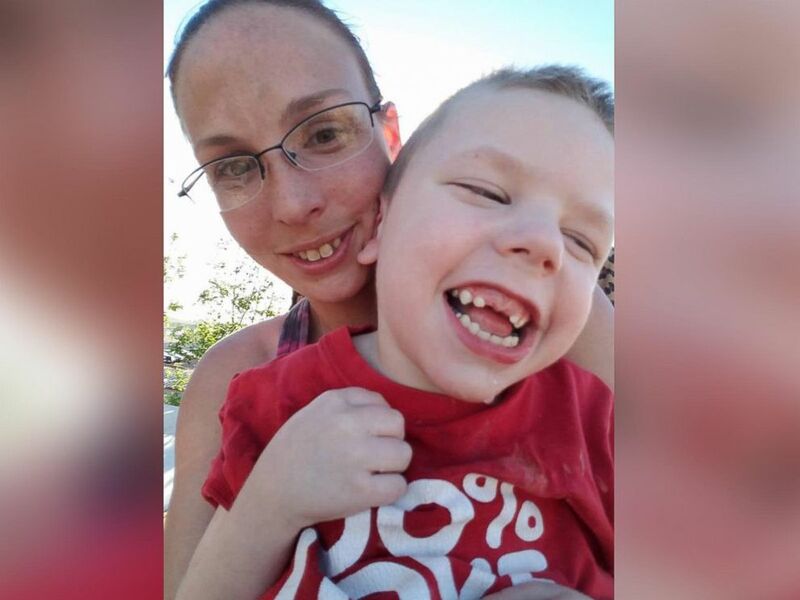 Like Kristie Reeves, Gideon's mother Sarah Laatsch of Moorcroft, Wyoming told ABC News that she and her husband Kaleb were unaware of Forgotten Baby Syndrome before the accident. "We had baby gates in the house, outlet protectors, alarms on the doors and never thought once that the biggest risk would be ourselves," Laatsch said. "Kaleb said he just went on his same trip the way he did to go to work each day. His brain told him that he dropped [Gideon] off. He remembers what he was wearing, he remembers the babysitter, but it must have been a memory from a previous occasion." Gideon pictured with his mother, Sarah Laatsch in an undated photo. On the day of the incident, Laatsch, a mom of four, said she stayed home from work to unpack from a vacation her family had just returned from. 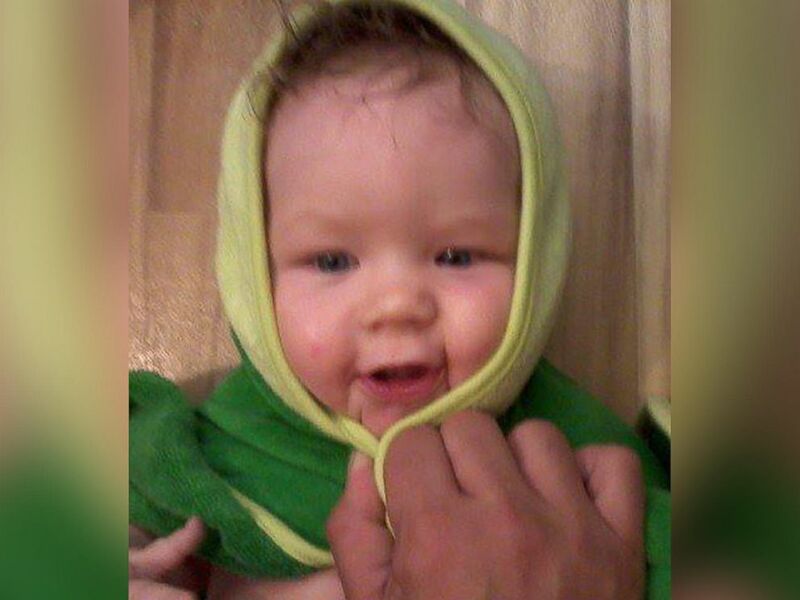 Kaleb was to drop off Gideon, then 9-months-old, with his babysitter before attending work at a nearby oil field. But when Laatsch arrived to the babysitter's home to pick up her son hours later, he was no where to be found. "Fearing the worst, I drove straight to [Kaleb's] work," Laatsch recalled. "He was pulling Gideon out of the car when I pulled up." Gideon had been accidentally left in the car for 9 hours, his mother said. The temperature had been 78 degrees that day. An ambulance rushed Gideon to Campbell County Memorial emergency room in Gillette, Colorado where he was cooled and stabilized. The boy was then air-lifted to Denver Children’s Hospital in Aurora and admitted into the pediatric ICU, where the doctors in Gillette felt he’d receive the best possible care. Gideon remained a patient there for one month, Laatsch said. 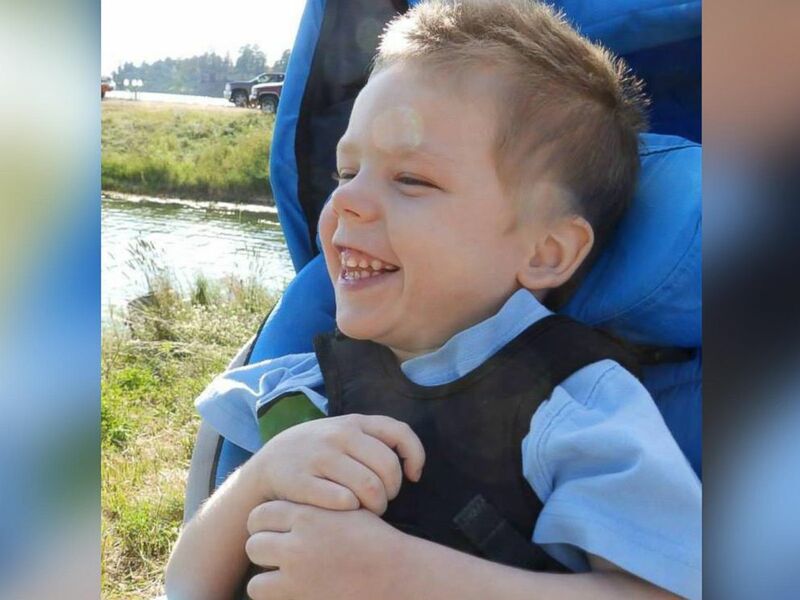 Gideon is now 5 years old and suffered from brain and organ damage as a result of the incident. Gideon suffered organ and brain damage. He lost all his vision and the ability to walk and speak. Today, Gideon is 5 years old and uses a wheelchair. Since the accident, some of his sight has returned and he's been attempting to walk, Laatsch said. "I'm hoping that people might look further into the science and understand how easily it can happen," she said. "David Diamond tried to explain it and now that I understand how it works, it makes complete sense. You walk into the room, and you say, 'What did I walk in here for?' or, you're driving and make the wrong turn." Laatsch said she never blamed her husband Kaleb for unintentionally leaving their son in the car five years ago. "He’s quite possibly the best person I know," Laatsch said. "He would give you the shirt off his back. He's the best man and father I know." 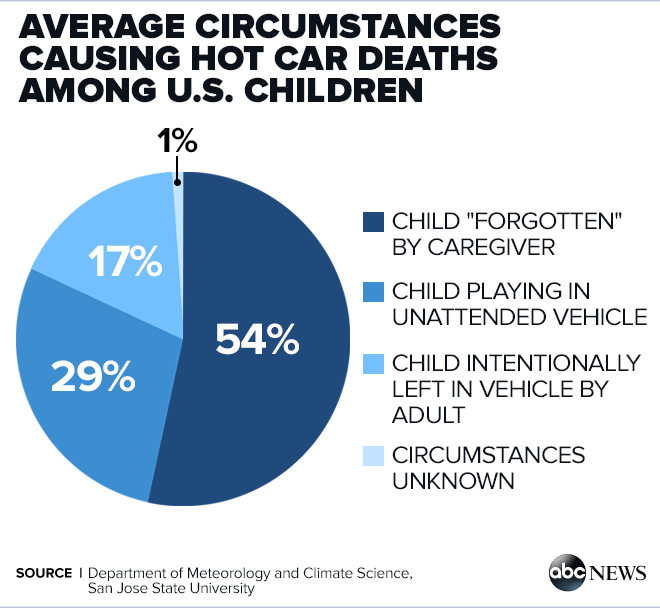 According to the Department of Meteorology and Climate Science at San Jose State University, a child "forgotten," or unintentionally left by his or her caregiver accounts for 54 percent of the average circumstances that cause hot car deaths among U.S. children. 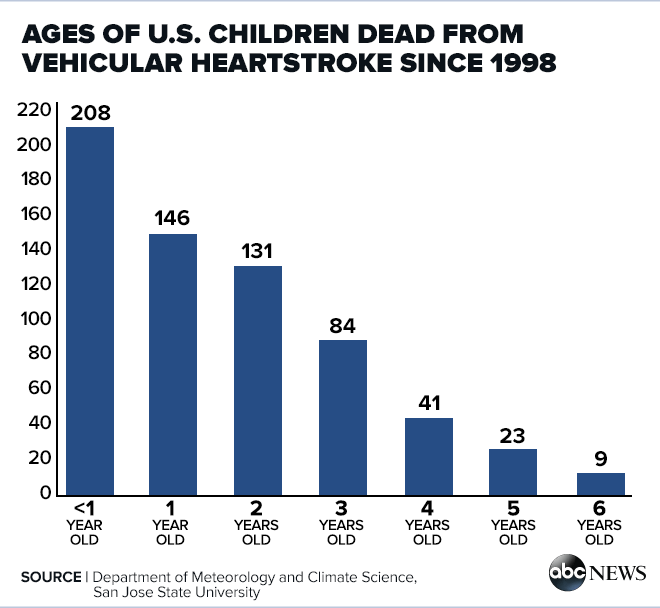 Out of the 677 children dead from vehicular heatstroke since 1998, 354 of them were 1 year old or younger. Diamond offers safety tips to help prevent hot car tragedies and Forgotten Baby Syndrome from occurring. "The first suggestion that I emphasize is we need to stop thinking about parents who forget children as bad parents -- that there's something wrong with these people and that's why they forget," he said. "What we have to accept is that our memory is flawed and we need technology to help us." Diamond proposes that parents keep something in the front seat whenever their child is in the backseat of the vehicle -- whether it be a note, or some sort of object, he said. In addition, direct communication with the day care provider is crucial. "They need to contact the parents if the child doesn't arrive on time," Diamond said. "It should be a part of the plan, which is a part of your everyday habit." Five years following her daughter's death, Kristie Reeves has dedicated her life to raising awareness of child vehicular heatstroke through her organization, Ray Ray’s Pledge. On September 1, 2015, "Ray Ray's Law" was passed in Texas, which will mandate hospitals across the state to educate new parents on the dangers of hot car-related accidents and deaths. Hospitals will hand out pamphlets and teddy bear key chains to mothers and fathers as a reminder that they're not riding alone in the car. 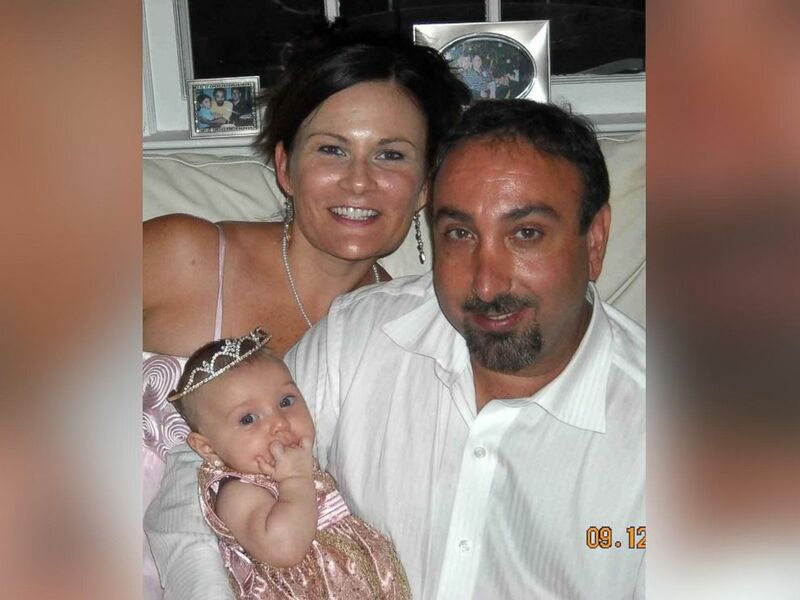 Brett Cavaliero, shown here with baby Sophia Rayne "Ray Ray" Cavaliero and mother, Kristie Reeves-Cavaliero, was not charged after accidentally forgetting his daughter in the car on May 25, 2011. Today, Reeves is the mother of 3-year-old twin girls. To ensure her daughters are safely dropped at school or home, Reeves uses an Android app called "Mom I Am Here," which went off in real time during her interview with ABC News. The app sends out multiple reminders and features an automated texting function, which alerts your contacts in the event of an emergency. It also allows the other driver to send a confirmation that the child has been picked up or dropped off, she explained. Reeves is urging parents to utilize alarm systems on their smartphones as safety nets, stressing that vehicular heatstroke and Forgotten Baby Syndrome can pose a danger for anyone. "We thought that this was a freak accident," she said of her tragedy. "[I thought], 'How could we be so dumb as parents?' When I started reading these stories that sounded so much like ours, I just got so mad. The need for justice for my child is what drives me to continue Ray Ray's Pledge because I made a commitment to her that I was going to do everything in my power to make sure that her short life was not going to be just a horrible statistic. I will do everything to make sure this will never happen to any other babies, or families."